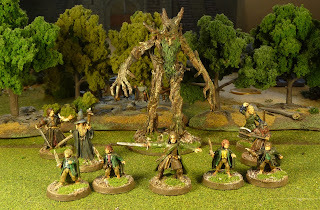 Next in the series of our LotR collection is the figures from the Forgotten Kingdoms, I presume this means the kingdoms that existed in the Northwest of Middle Earth. We do not have a whole lot here aside from the Fellowship and Treebeard. 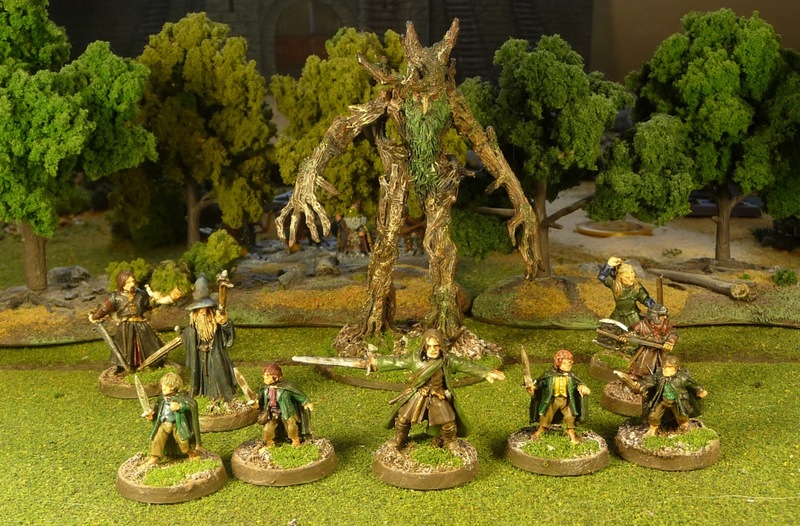 I believe the Fellowship box was one of the first Simon got, and aside from a dark wash and the bases this is how they were painted by Simon when he started his LOtR collection. Not bad and I thought he did quite a nice job later on Treebeard. Maybe at some later date we will add the 2 little hobbit figures of Merry and Pippin that came with the set. I had successful first day of painting yesterday having got 150 points done. I started with primed figures and actually got the AP Darktone applied in one day, which is quite good. They need to be based and I like to wait at least 48 hours before a Matt coat is applied, so it will be a few days before they appear on my blog or get submitted to Curt. I plan to start work on a 160 point unit today, and with luck they will be done by Xmas. Unfortunately, I am working for the next 3 days, but we will see what we can do. They do look nice John, I'll look forward to seeing your figures in a couple of days! Crikey, you've done in one day what I will in a month! 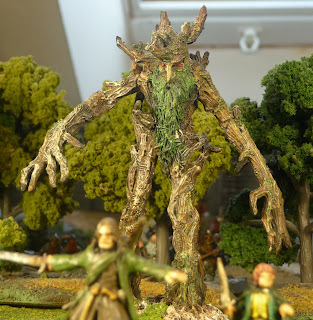 John this Treebeard is outstanding! Your son was quite gifted for his age. Really good idea to give it a new life.